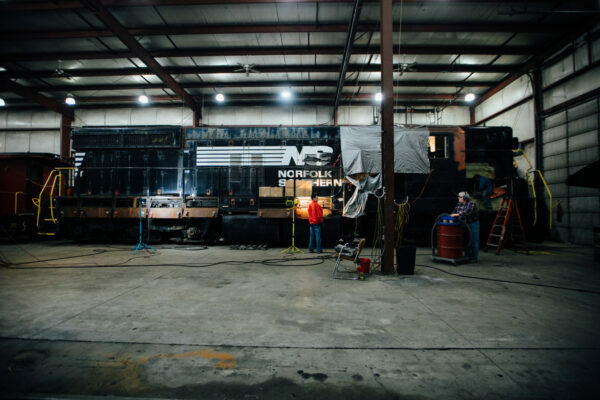 As a small, but dedicated crew makes progress on restoring Nickel Plate Road diesel locomotive no. 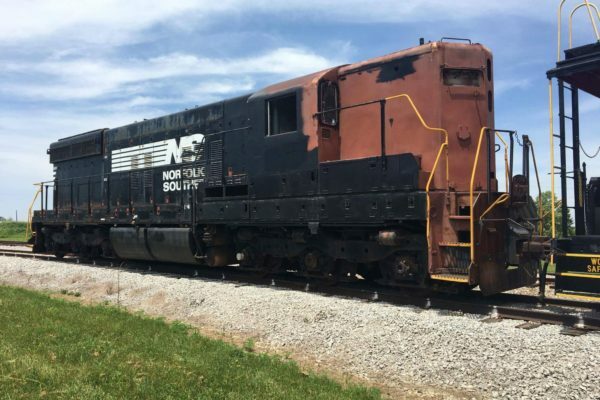 358, the Fort Wayne Railroad Historical Society has dedicated an additional $2,500 into the restoration effort. 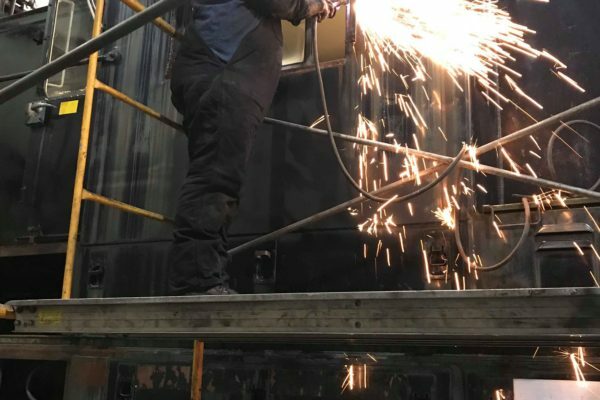 The investment follows a $3,000 grant from Steel Dynamics in 2017. “I want to thank the board for their support of this project. 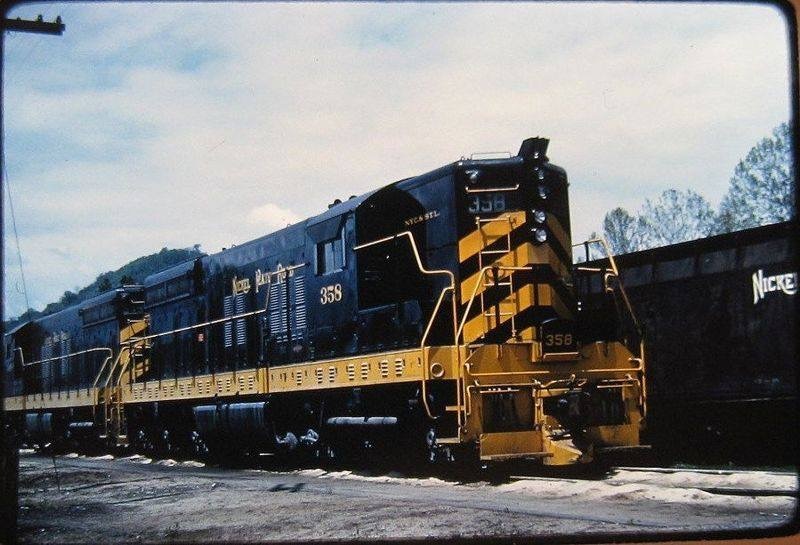 This contribution and other donations will help bring 358 back to a second, full life,” said W.D. 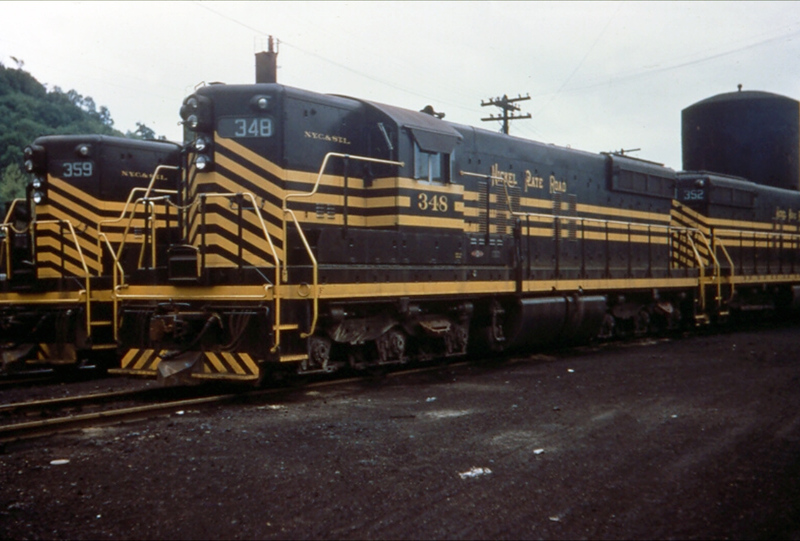 Miller, co-manager of Project 358. 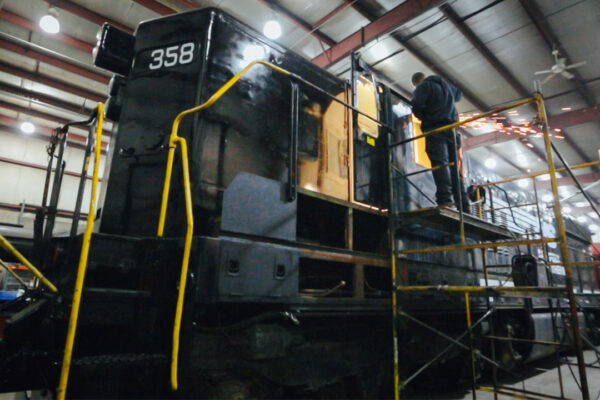 Project 358 will return the historic locomotive to its original appearance and serve as an operating, educational, interpretive display with the Society’s steam locomotive no. 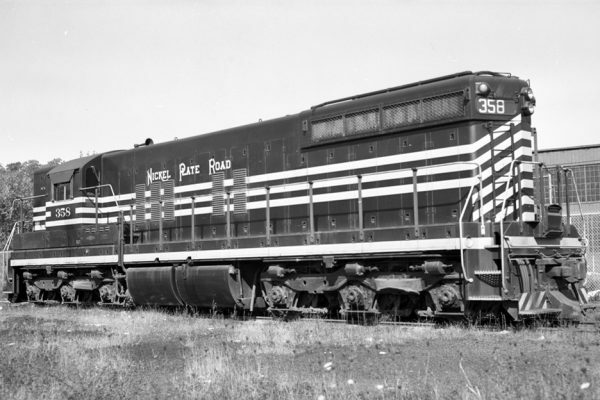 765. For background on the effort, click here. To-date, over $6,000 has been raised for the $35,000 restoration effort. 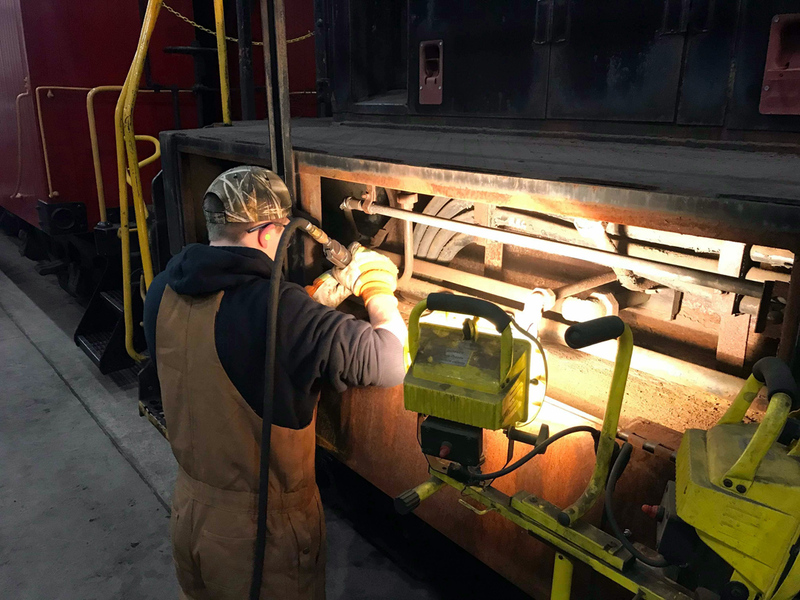 Volunteers WD Miller, Carson Miller, co-project manager Chris Lantz, Brandon Willis, David Collar, Jon Jaros and others have invested over 1,000 hours into Project 358. Donations for the project can be made quickly and easily online. 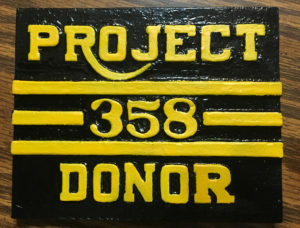 Donations of $100 or more in 2018 will recieve a Project 358 Donor Plate. 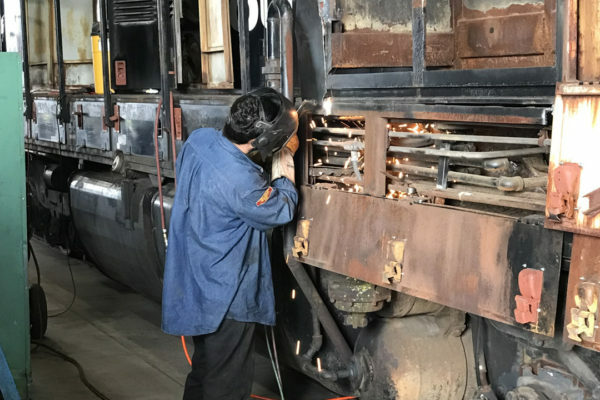 Through a number of individual monetary donations, many historic or replacement components have been purchased and acquired, including the historically correct headlight bezels, class lights, various electrical components fasteners and a complete set of gaskets. 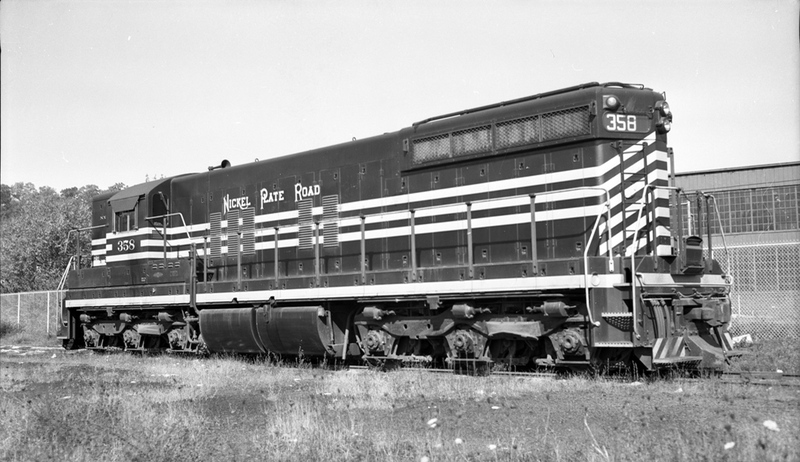 Additionally an accurate bell, controller, auxiliary generator and a 36” cooling fan have been donated and several components of a Mars Light were supplied as a parts source. 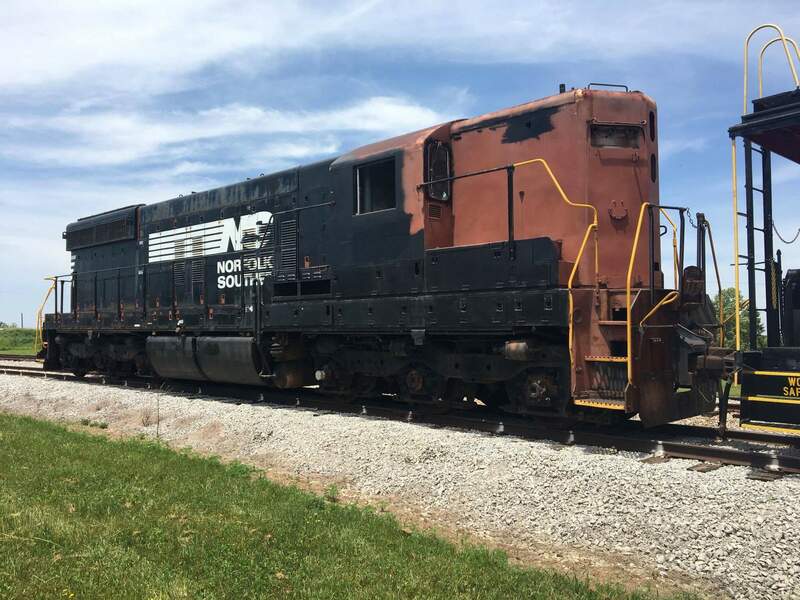 For a full parts list, click here. 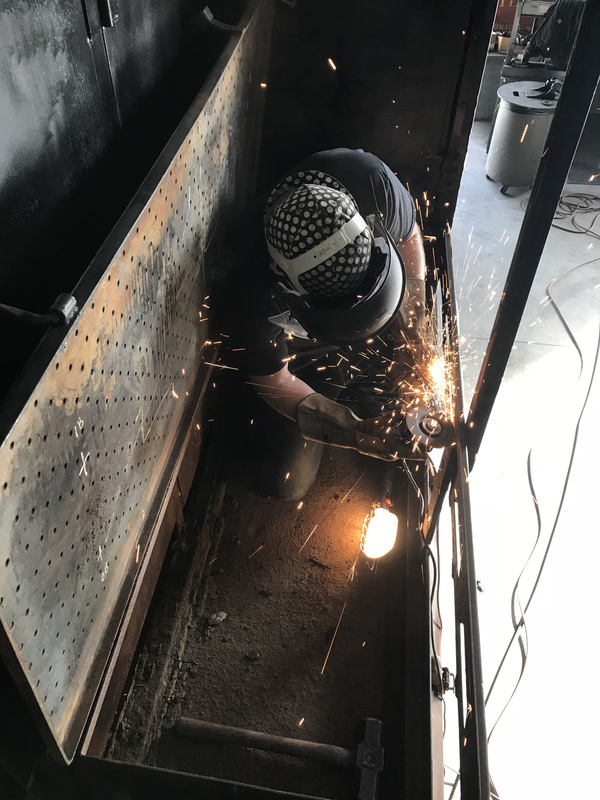 The 358 crew has made substantial progress clearing away 60 years of rust, dirt and debris from the sub floor, generator room, engine room and compressor room, areas of the frame and under walkways. Work sessions are held several times each month. 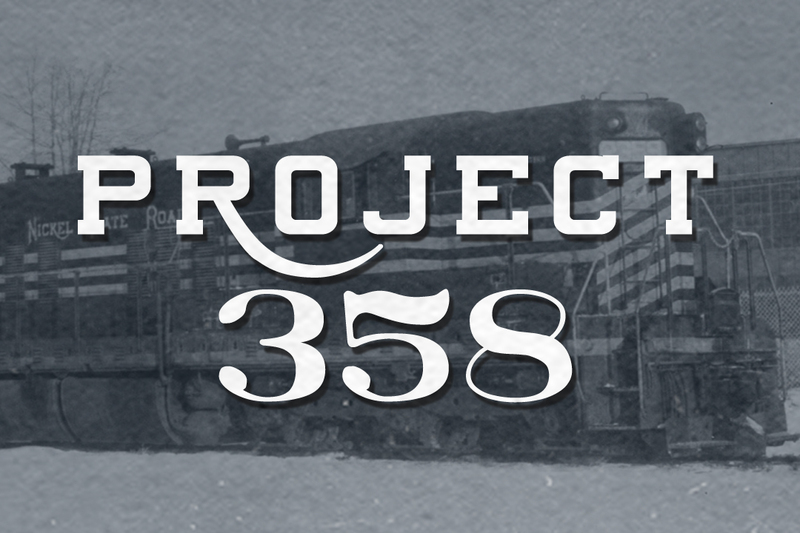 Interested volunteers can click here to contact Chris Lantz, co-manager of Project 358. 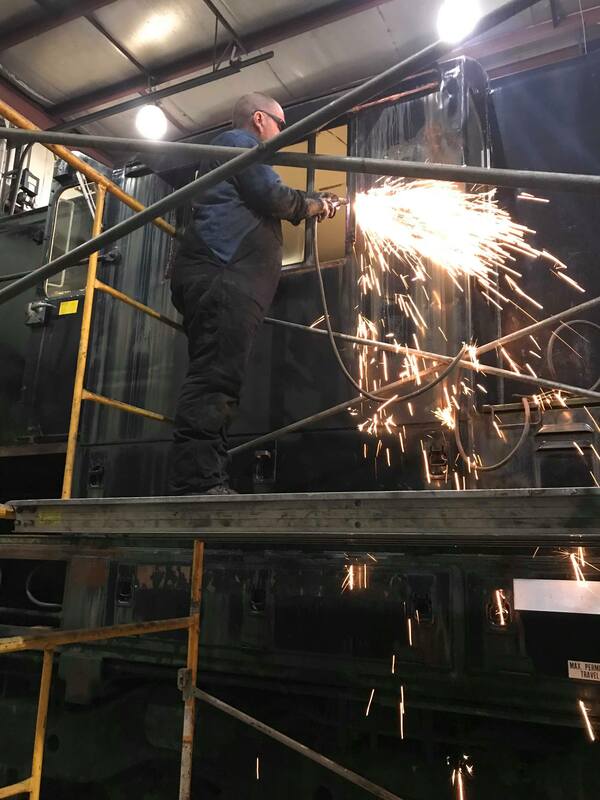 Car body and cab repair work continues and finished areas are prepped and given a protective layer of paint. 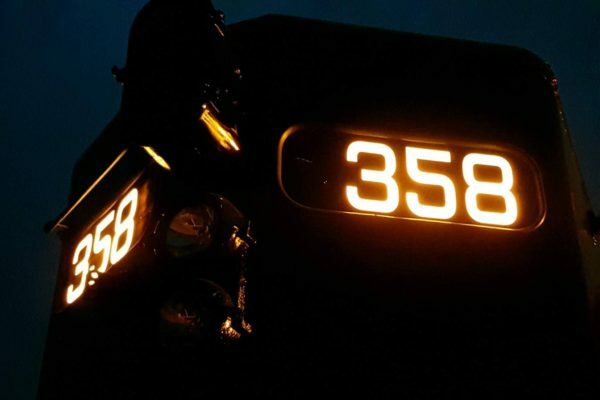 Meanwhile, much of the locomotive’s low voltage system has been traced, identified and tested, allowing the crew to briefly illuminate the engine’s numberboards last year. 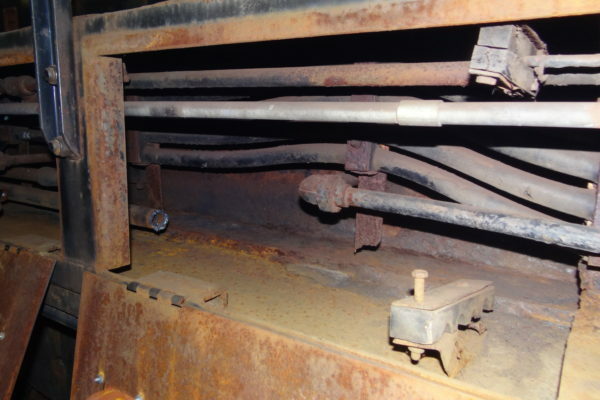 Previous weekends work included cutting rusty metal from the engineer’s side battery box. 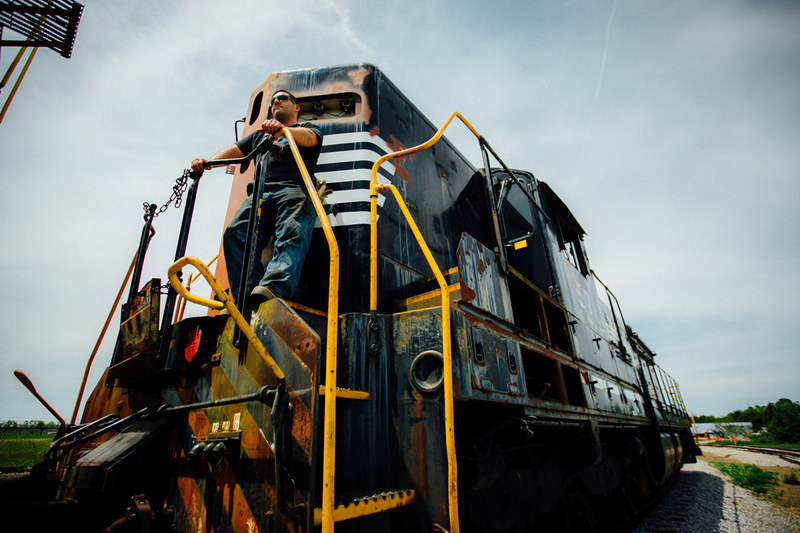 Repaired areas are prepped and given a protective layer of paint. 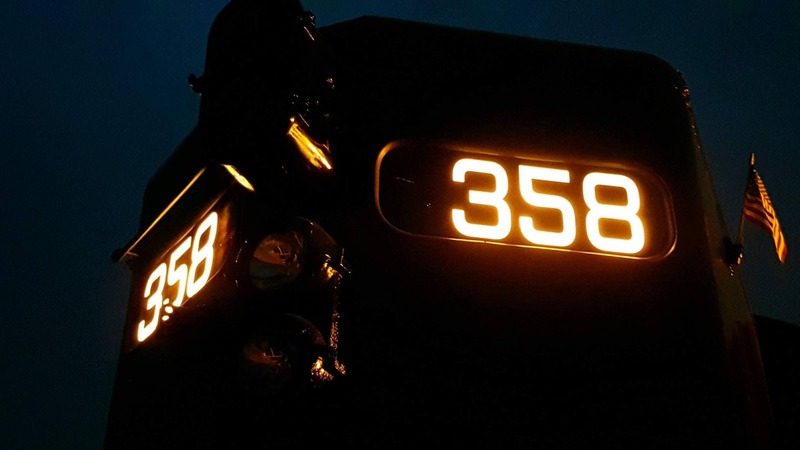 Meanwhile, much of the locomotive’s low voltage system has been traced, identified and tested, allowing the crew to briefly illuminate the engine’s numberboards last year. 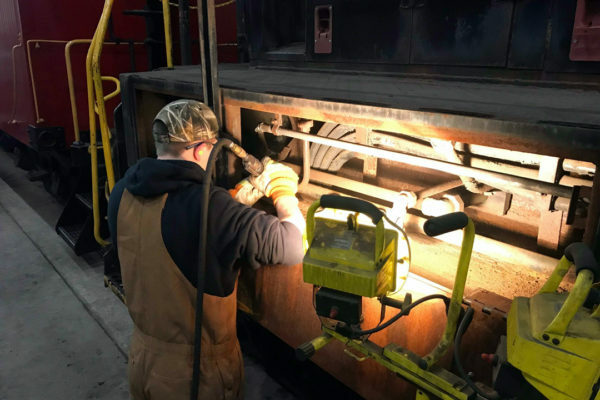 Damage to the cab, likely caused by a cut of cars set out too close to switch points, is being repaired with new steel. 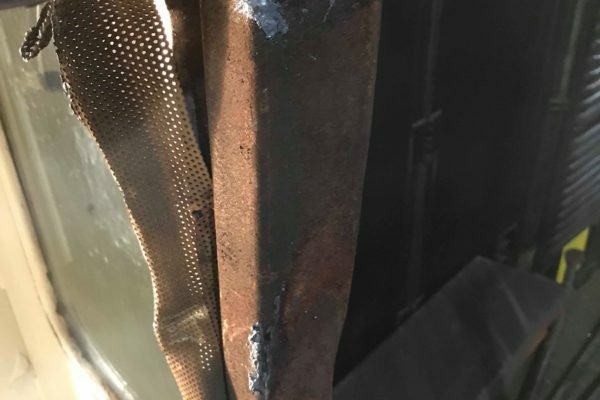 Upon removal of the firemans side sunshade, crews found extensive rot from years of laying water – and discarded cigars. 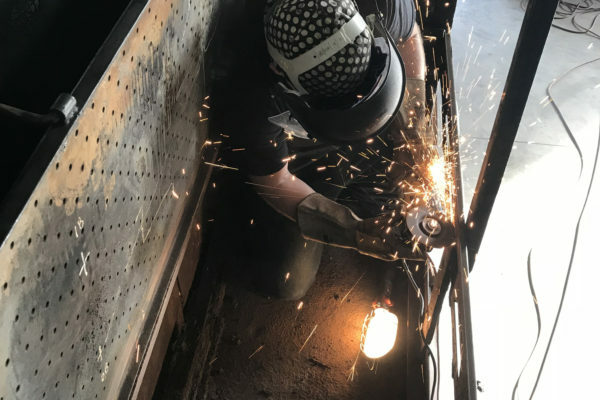 Replacing rusted sheet metal on the corners of the long hood. Replacing areas of the walkway. 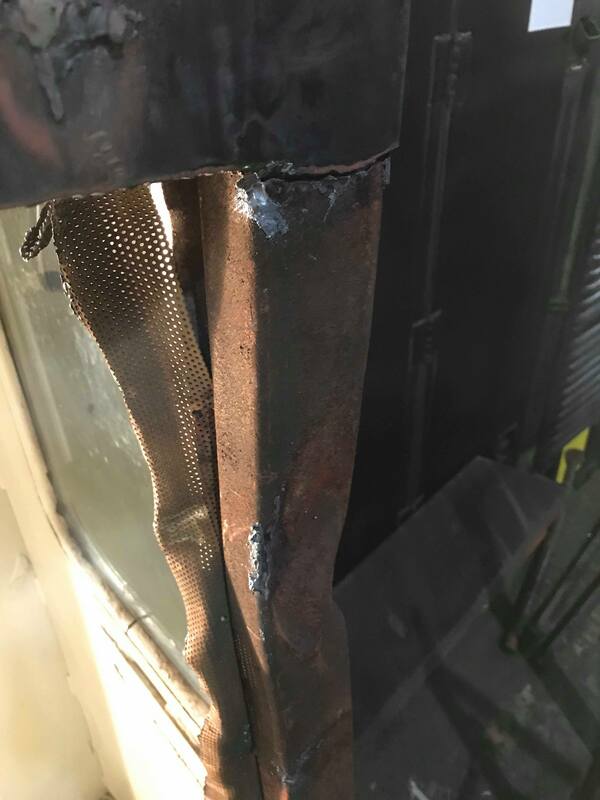 Replace missing and bent doors along the side sill. Installation of the class lights. Additional abatement work on the frame under the cab and short hood of the locomotive. 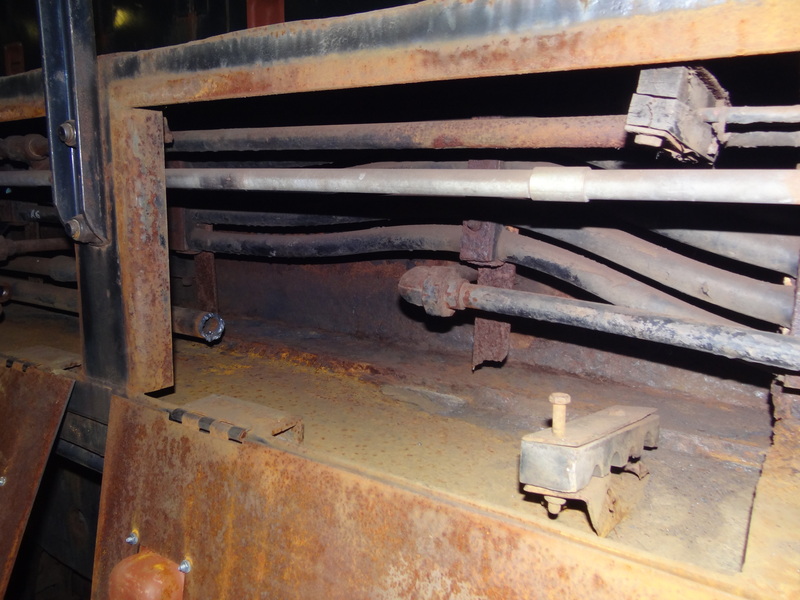 Install the new gaskets on the fuel delivery and cooling system. 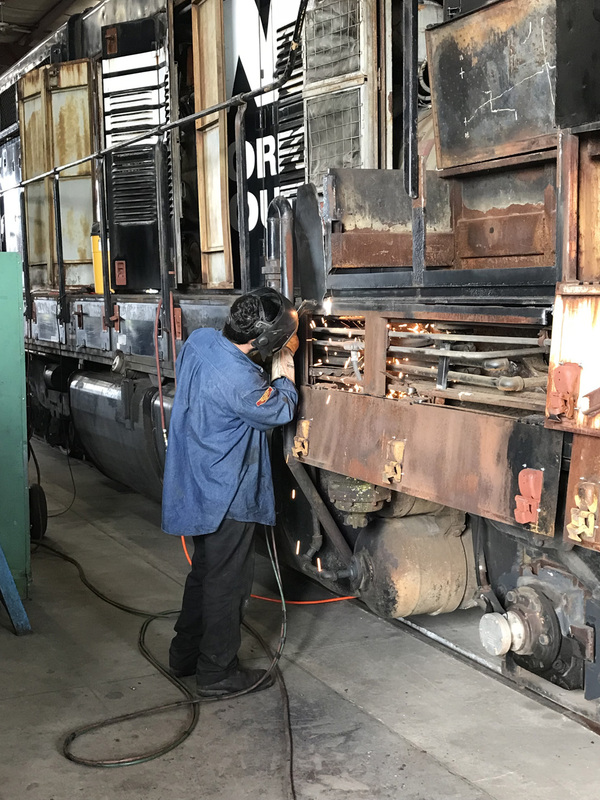 Install 36” cooling fan and auxiliary generator.